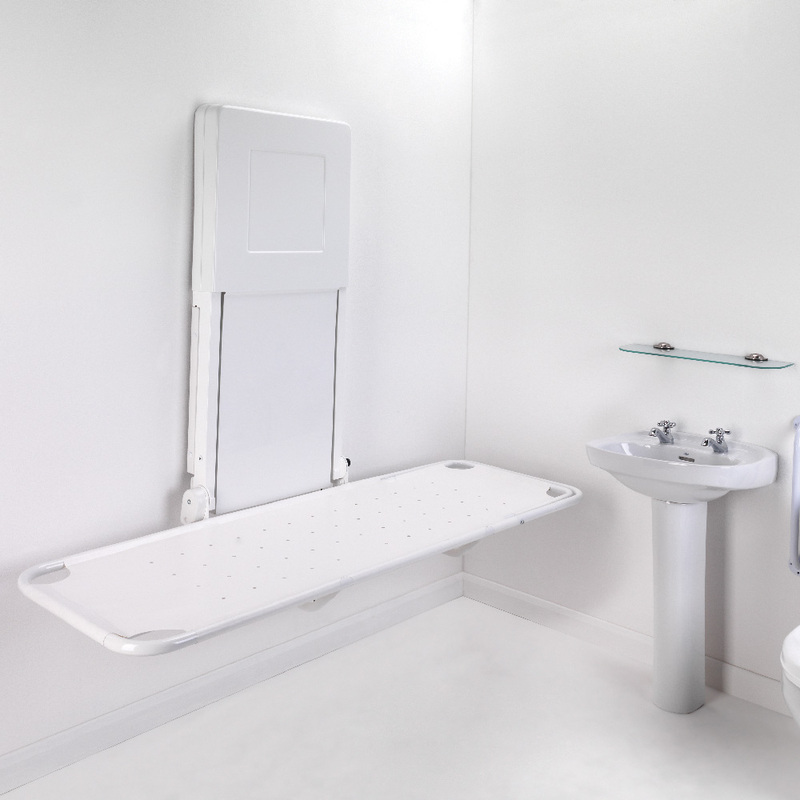 The Easi-Lift Shower Stretcher and Changing Bench has been designed to help you move the user up and down with ease whilst they are on the stretcher. It is electronically operated with a height range of 500mm, which allows a safe and suitable working height to prevent the risk of back injury to the carer. 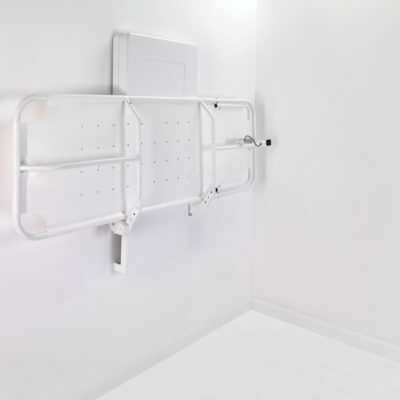 The unobtrusive and neutral design of the Easi-Lift Shower Stretcher allows it to fit into a wide range of environments, especially with it’s stainless steel and powder coated frame. 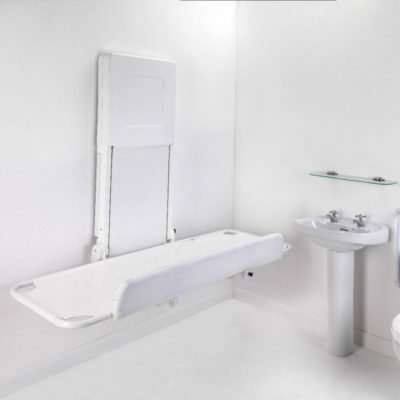 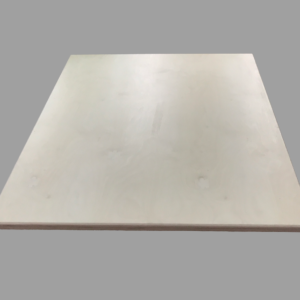 The need for floor fixing has been eliminated making it the perfect choice for areas where the floor type, surface pipe work or cabling prevent floor installation. 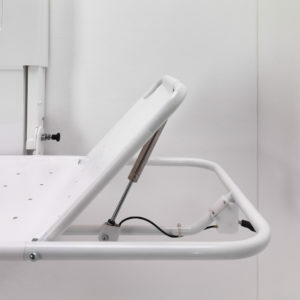 The compact design coupled with the ability to fold the stretcher away when it is not in use makes this the ideal product for times when space is limited. 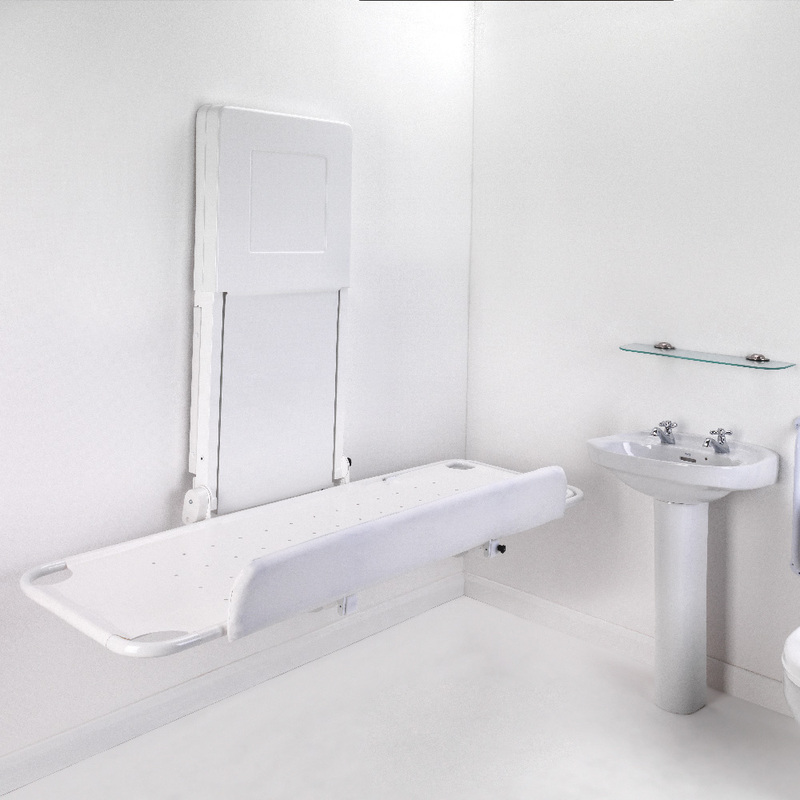 It can also be enhanced with the optional integral vinyl headrest and an optional safety guard is also available. 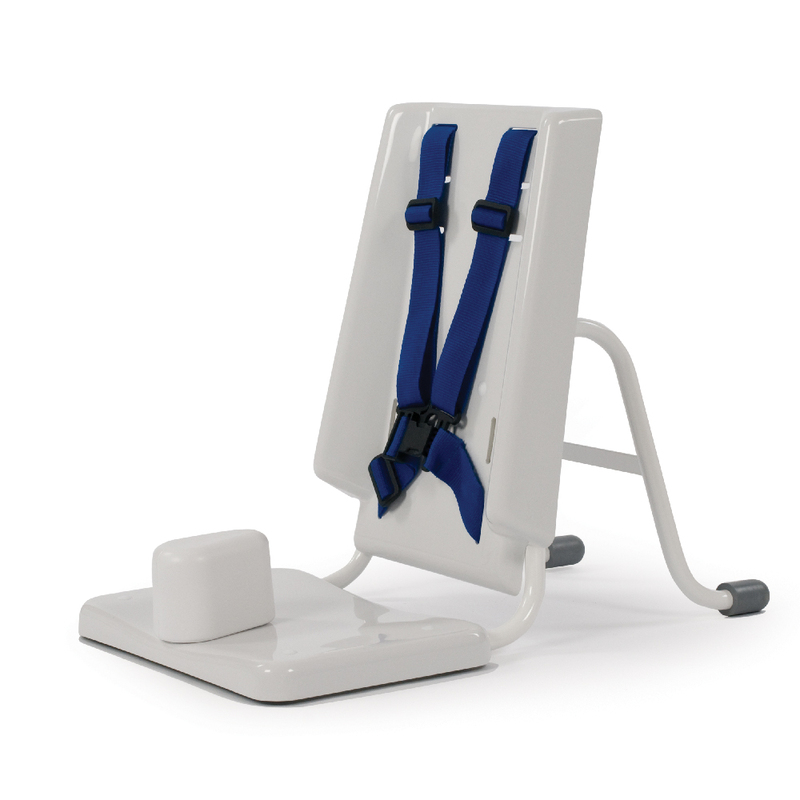 The safety guard is recommended for that additional safety aspect for the user.